The exact amount of weight loss will vary with each person when using a low carb diet. More obese people will lose more weight in the first phase because of all the water that is released from the low carb diet. After that initial phase, the amount of weight you burn slows down. That is because only fat will be burned. 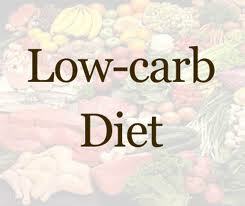 After a few weeks on a low carb diet your weight levels off and you may lose about one or two pounds each week. Once you reach your target weight, your weight loss becomes slower. How can I control those carb cravings? Carb cravings are perfectly normal in the early stages of low carb diets. One way to cope with them is to have snacks throughout the day to help curb your appetite. Be sure they are healthy low carb snacks like peanut butter or cheese and do not skip meals. If you absolutely must have something like cake or ice cream, then go ahead. Have a taste. But stop at the taste. Do not buy a half gallon of ice cream or eat a whole cake! My children are overweight; can I put them on a low carb diet? No.Children require different nutrients than adults. If they are overweight it is important not to restrict starchy foods like bread or potatoes. Children need milk and cereals. You can begin healthy eating patterns early by limiting the amount of food in each serving and keeping sugary snacks to a minimum. I hope this article provide you information about top 3 question for low carb dieting.